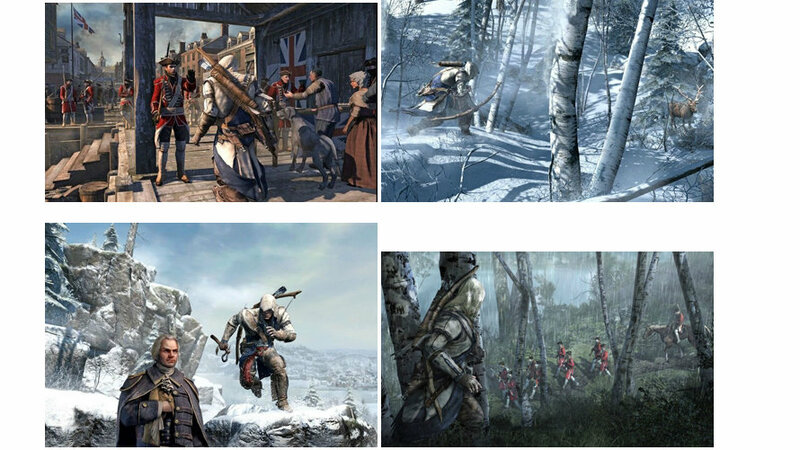 In these new screenshots from Assassin's Creed III, leaked today by the website All Games Beta, the main character appears to be ambushing a group of British soldiers during the Revolutionary War. You can also see the main character hunting a deer and interacting with soldiers in what appears to be a British colony. Looks like in addition to the tomahawks we saw earlier this week, the main character of Assassin's Creed III will wield a bow-and-arrow. Two days ago, Kotaku reported that Assassin's Creed III would be set during the Revolutionary War. Publisher Ubisoft confirmed the news yesterday, posting official box art for the game on its Facebook page. Ubisoft will release Assassin's Creed III on October 30. Image: Screencap of AllGamesBeta's ACIII images. So wait... the assassin still wears the same robes? So this means you'll be a native American in the same robes as you were in previous games set in a much earlier time period, meaning you'll stick out like a sore thumb.. I know right.....and who the hell wears white in the snow so dumb.......and...and....there are no big buildings....where can i do big jumps......and...der iz no hiddenz bladz....a der........demicrates run da white house.....a DURRRRR...DER AREZ TO MENYZ GAMEZ IN AMERICANZ REVELOUTIONZ.....I WANTZ REALIZIM IN MY AZZAZZINZ CREEDZ!!!!11111111!!!! in all seriousness, I think it's an excellent use of artistic license. They've even modified the cut of the robe to suit the period, bravo! Dude... personally i think the game looks like it could be excellent - just the choice of outfit may not make a lot of sense, regardless of how awesome it looks. hahaha what are you talkin about mate? They've kept the white concept, although if you look at the actual clothes, they've changed to keep up with the time period. and if you look at this protagonist, he's wearing an 18th century jacket. The same way desmond where's a white hooded sweater. First everyone wants an american setting so it could be easier for their minds to understand, and now his outfit is out of place? What did you want him to look like? sherlock holmes? These comments prove that no matter what ubisoft give their fans, they will never be happy. Perhaps they should've stayed true, and chosen what they thought was a good time period, rather than accomodating for fanboys. I mean, choosing their own ideas has worked for them so far, why change? I don't understand why Desmond and the others don't wear robes. It's clearly worked for centuries in cultures that have no clue what robes are. Maybe I dumped AC too soon? This looks awesome. If it turns out to be awesome, this may be the first AC game I'll ever play. that would be a mistake, basically that would be like watching the Return Of The King / SW : Episode 6 / Martix Revolutions as the entry point of those trilogies... you would be missing out on so much story. He'd be missing out on Desmond's story, definitely. But since it's a whole new assassin, so it's not going to be as if he played Revelations before AC2. Sort of. Is it just me or the overall theme of AC3 looks strikingly similar to RDR? Just found this on the interwebs. Native American voice actors! Seems like they are adapting it for few buildings so not much climbing, I wouldn't be surprised if they add in some Tenchu style silent takedowns. 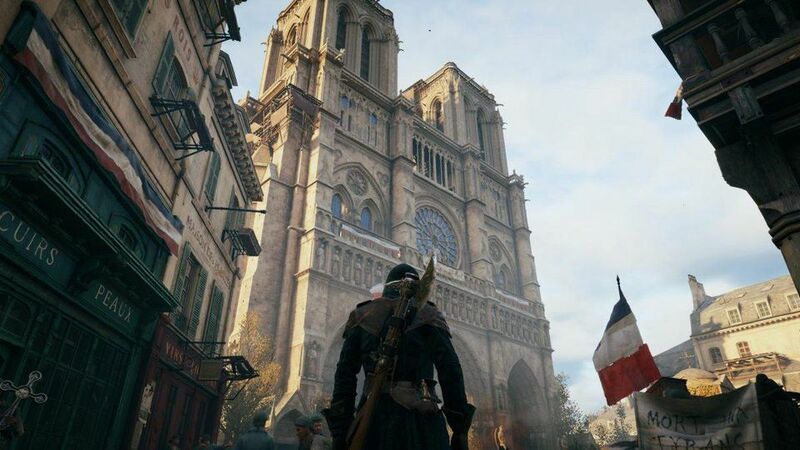 I gotta keep remembering that Ubisoft are originally French and so hopefully AC3 should not be gun ho America, still think it's gonna be a great game but a little bit over seeing American heroes ay. This looks like....Red Dead Redemption! Complete with the hunting element. And of course these are just initial screens. Maybe they will implement a stealth mechanism like metal gear solid 3. So you can change your outfits to fit in with the environment or with the people who are near you. This does look awesome but I doubt I'll buy it. I lost interest in the series when Revelations was announced before I'd even finished Brotherhood. I love the Last of the Mohicans vibe. 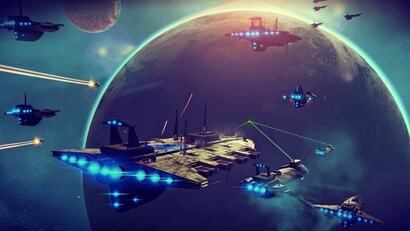 I'll be gladly playing that soundtrack with this game. It'll be a great game, but they borked his outfit big time. let's not rule out the possibility you can change it though.